The 1960s was one of the most colorful eras in history. 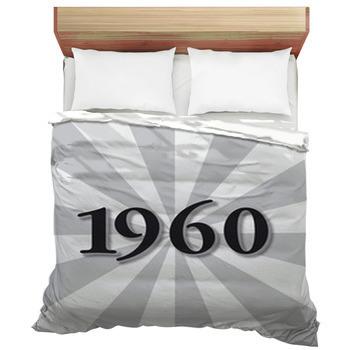 The events that span the decade remain very well known today, and we created this 1960s bedding theme so you can remember it every day. From a comforter design of Neil Armstrong landing on the moon to a custom size duvet cover of Woodstock, this period certainly has its special spot in history. With all these options, reliving the highlights of the era becomes so much easier. 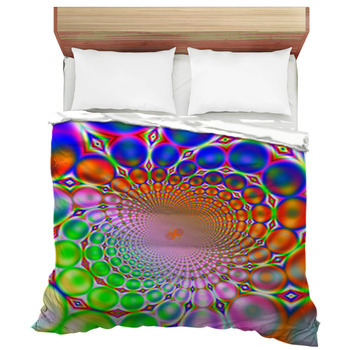 Want a comforter with psychedelic tie-dye patterns? 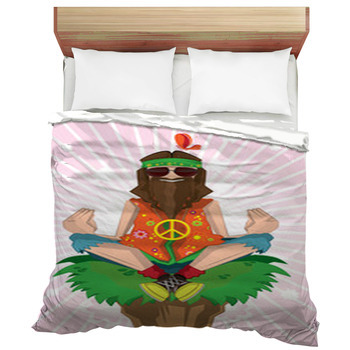 A duvet cover featuring a hippy party? Pillow cases full of flower power? 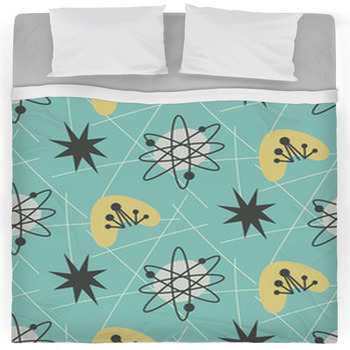 And how about bed sheets replete with peace signs? 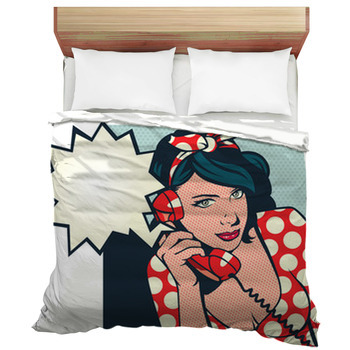 We have all of those products, and even more in the 1960s bedding theme. 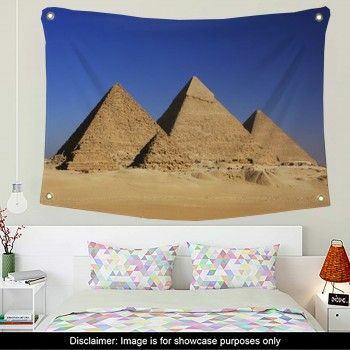 All of our 1960s bedding products come in standard sizes ranging from Twin to Twin XL to Queen to King. 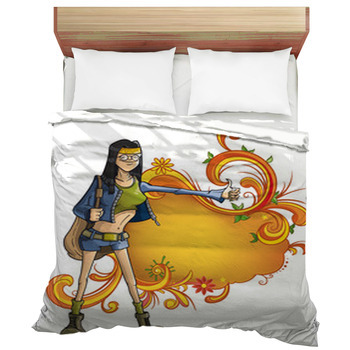 And you can even customize your bedding size! When you order 1960s bedding from us, the only effort you have to give is in the process of deciding which design to use and the size you want your design to be dyed on. But watch out, for there are so many designs to pick from it might be harder than you think! 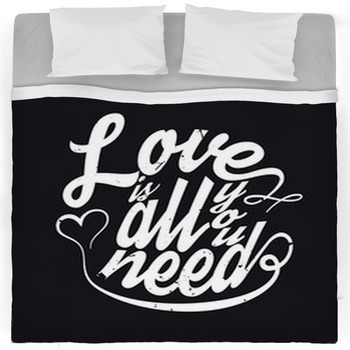 All of our bedding products can be personalized and customized to fit your exacts needs and wants—whether that is a picture of you in your John Lennon glasses or a custom photo of a street protest. 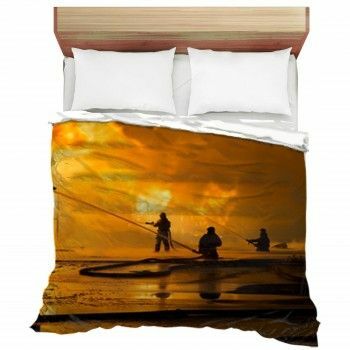 With only a bit of effort, you'll have your customized bedding in no time at all. 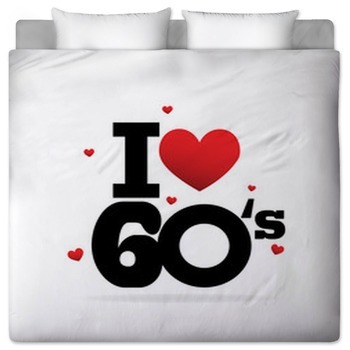 Make your room a place of history and get your very own sixties bedroom decor now! 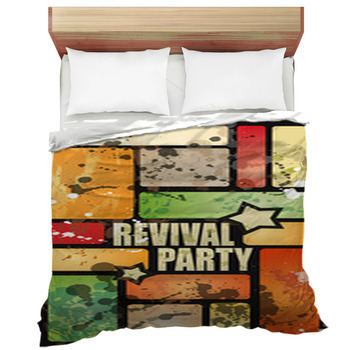 These bedding items are perfect for a master or guest bedroom, so long as you want your guests to feel a nostalgic blast from the 60s past. 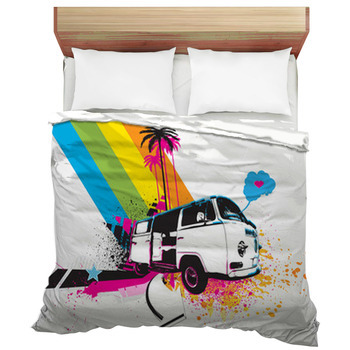 Come and get your unique and customizable 1960s bedding from VisionBedding, and you’ll be floating on the breeze all night long.